It’s that time of the year again— the perfect time to take advantage of the cheeriness of spring to reorganize and deep clean. These Pinterest hacks will make your spring-cleaning easy and even fun. There’s no better place to start cleaning than your kitchen, which is probably one of the most used rooms in your home. For a natural way to clean up all that grime and spillage stuck to your stovetop, you only need hot, soapy water and baking soda. Sprinkle the baking soda onto the stove first, let it sit for at least 15 minutes, then scrub it off using a cloth and the hot water mixture. Mix the ingredients in the spray bottle and you have an all-natural solution to harsh granite cleaners. After you scrub all of the stubborn grime off the stove, you might be wondering how will you ever clean in-between the oven glass. For this hack, first, take out the bottom drawer. Straighten out a wire hanger and use one of the ends to wrap around a Clorox wipe or a paper towel with a natural cleaner. It might be a little tricky, but lay down and poke hanger and wipe in-between the two glass panels from below. Wipe off the glass best you can! 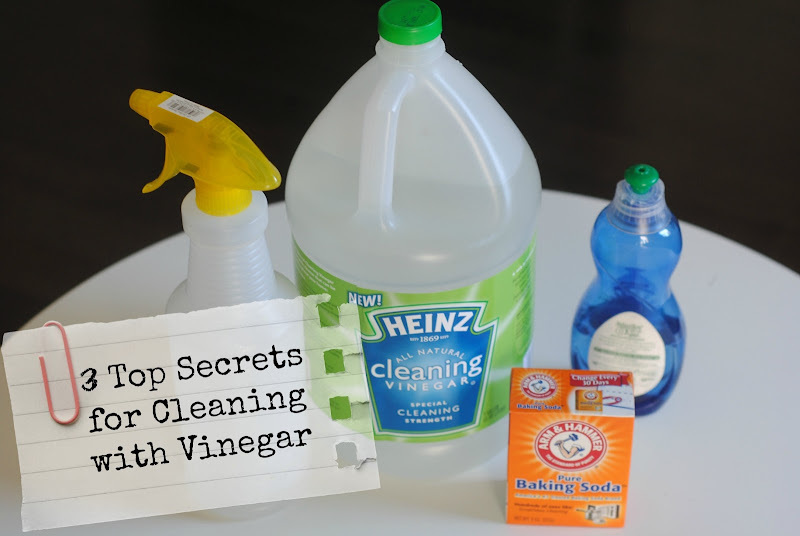 For this simple trick, you’ll need an empty spray bottle, vinegar, dish soap, and baking powder. Mix the ingredients and spray the mixture onto grimy grout, wait a few minutes, and then simply wipe it away! When nothing else will remove that sticky layer from your stainless steel toaster, mix water and cream of tarter and use the mixture to scrub off any dirt. As an alternative to using Ajax or other harsh chemicals, for this hack, all you need is baking Soda and lemons. Start by sprinkling a good amount of baking powder down the drain. Cut a few lemons into pieces and toss those in the disposal. Run the disposal, then repeat these steps a few times until you feel your disposal is clean and dirt free. After years of use, cookie sheets start to look like a beat up mess. They might never be as good as new, but they are not completely beyond saving. Use a mixture of peroxide and baking soda to scrub away layers of grime. Have any old pillowcases lying around? Put them to good use by wrapping them around the blades of your ceiling fans, pull them off and dust the blades while keeping dirt and dust contained within the pillowcases. Mattresses are nearly impossible to clean, but you can freshen them up using baking soda and your favorite essential oil. Use a mason jar to combine baking soda and your favorite scented oil, shake it, and sprinkle it over your mattress. Wait awhile and then use a vacuum attachment to remove the powder. All kinds of dirt can get trapped in your washer so clean it often! Fill your washer machine with hot water by setting it to its largest load cycle. Mix the water with two cups of bleach and let it sit. Run the cycle and allow for the bleach mixture to clean out your machine. After the cycle is complete, and the water has drained, wipe out the inside of the washer drum with a clean cloth. Dump the mix into the toilet bowl. Let it sit for as long as you want, then flush. Keep organized by making a room-to-room list of everything you need to or want to clean. Stay motivated and check things off as you go! In addition to making a cleaning list, make a list of supplies you’ll need and keep your cleaning supply cabinet stocked. Make your own laundry detergent, and, not only get more bang for your buck but avoid irritating chemicals. This DIY recipe calls for Borax, Washing Soda, Baking Soda, and Castille Soap. To disinfect that dirty microwave, simply soak a kitchen sponge in lemon water, place the sponge in the microwave, and then turn the microwave on for a few minutes to let the disinfecting steam do its work! If you need a break from cleaning the house, step outside and give the car a deep clean as well. Use toothbrushes, foam brushes, and magic clean erasers to help you clean every nook and cranny of your car. Use a vinegar and water solution to remove stubborn stains from your carpet. Let the solution soak, and then sop it up using clean cloths. If you have run out of wipes for your dry mop Swiffer Duster, you can save money and avoid extra trash by using old socks. Just wrap the sock around the Swiffer base using the foot hole and have fun! To remove gunk from your kitchen and bathroom cabinets, all you need is baking powder, coconut oil, and a toothbrush. Mix the powder and oil, then use the toothbrush and mixture to scrub dirt off of your cabinets. Pillows can be hard to clean, especially if you want to keep them fluffy and soft. Be sure that your pillows can be machine-washed for this trick. Set your washers cycle to a gentle spin, and use hot water combined with bleach and detergent. Dry your pillows on a gentle and low heat cycle. With these helpful cleaning tips, you’ll be a spring-cleaning pro with plenty of time to spare in order to enjoy the many blessings this season has to offer!